Hard-hitting opening batsman Chris Gayle, 39, was called up for what will be his fifth World Cup as was all-rounder Andre Russell, who is currently averaging 65 in the ongoing Indian Premier League..
▶ Videos for "Andre Russell"
Terming the 10-run defeat to Royal Challengers Bangalore "sweet and sour", a disappointed Andre Russell did not mince words to say he should bat higher up the order in situations like these for Kolkata..
Chennai Super Kings skipper Imran Tahir got the wickets of a set Chris Lynn and the ever dangerous Andre Russell in the 15th over besides accounting for Nitish Rana and Robin Uthappa to restrict KKR to..
Chennai Super Kings batting coach Mike Hussey addressing a press conference in Kolkata on the eve of their clash against Kolkata Knight Riders discussed about the team’s plans to tackle Andre..
Shikhar Dhawan made sure that Sourav Ganguly had the last laugh in his own backyard with an unbeaten 97 as Delhi Capitals (DC) did a double on Kolkata Knight Riders (KKR) by scripting a seven-wicket..
KKR’s Andre Russell believes that this is the highest level of T20 franchise and you have to be at your best. The cricketer made a statement after snatching the victory from the jaws of defeat by..
Andre Russell once again snatched victory from the jaws of defeat by smashing an unbeaten 13-ball 48 as Kolkata Knight Riders (KKR) beat Royal Challengers Bangalore (RCB) by five wickets in a..
After winning the 10th IPL 2019 match against Kolkta Knight Riders in the Super Over last night, Delhi Capitals captain Shreyas Iyer praising KKR's Andre Russell said "a team needs a player like him". It looked like the day once again belonged to the Kolkata Knight Riders (KKR) all-rounder Andre Russell after he hit a 27-ball 62 against the Delhi Capitals (DC). 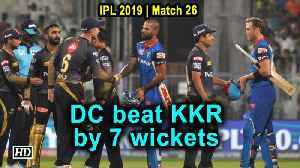 But DC opener Prithvi Shaw had other..
Andre Russell plays an integral part in the Kolkata Knight Riders (KKR) set up and batsman Robin Uthappa made no bones about the fact that Russell firing helps the cause of the team. 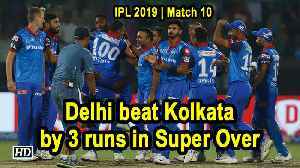 Nitish Rana and Robin Uthappa scored half centuries while Andre Russell continued his pyrotechnics with the bat as Kolkata Knight Riders (KKR) posted a mammoth 218/4 against Kings XI Punjab in an..
Andre Russell spoilt David Warner's dream return to the Indian Premier League (IPL) with a 19-ball 49 as Kolkata Knight Riders (KKR) defeated Sunrisers Hyderabad (SRH) by six wickets in their campaign..
Andre Russell's IPL exploits deservingly earned him a place in the Jason Holder-led 15-member West Indies squad for the World Cup in England and Wales starting May 30. Andre Russell has questioned his team's decision to send him lower down the order. I believe that (I should have batted at No 4)... Honestly he said. Russell came into bat when Kolkata needed 135 runs off 49 balls, but the West Indies big-hitter kept them in the hunt right till the last over by smashing nine sixes and two fours in a 25-ball 65. Royal Challengers Bangalore eked out a 10-run win over Kolkata Knight Riders for only their second success of the season after Andre Russell and Nitish Rana nearly pulled off the impossible in the..
Apr 19 (OPTA) - Scoreboard at close of play on the first day of match 35 between Kolkata Knight Riders and Royal Challengers Bangalore on Friday at Kolkata, India Royal Challengers Bangalore win by 10.. 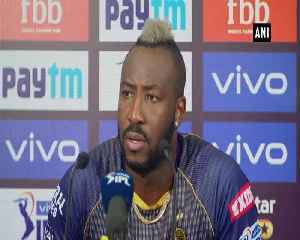 It won`t be easy for KKR with Andre Russell doubtful for the RCB game after injuring his left shoulder during practice at the Eden Gardens on Wednesday. While Kolkata Knight Riders (KKR) have not ruled him out of their crucial Indian Premier League (IPL) game against Royal Challengers Bangalore (RCB) on Friday, Andre Russell skipped practice on..
Shubman Gill and Andre Russell played contrasting knocks to help Kolkata Knight Riders (KKR) post a competitive 178/7 in 20 overs against Delhi Capitals (DC) in their Indian Premier League clash at the.. The joke is in reference to talented cricketers' - Kieron Pollard, Chris Gayle and Andre Russell - from the Caribbean dominating the show. Russell has been a picture of consistency for the Kolkata Knight Riders, amassing 257 runs from just 121 balls with a stunning striking rate of 212.39 in this IPL. The likes of Kieron Pollard, Sunil Narine, and Andre Russell could well be back in the mix to wear the Windies maroons in England. Kolkata Knight Riders thrashed Rajasthan Royals the other night. Chennai Super Kings hammered the Knights on Tuesday night. On that backdrop, it would be just too compelling to jump to a prediction..
KKR were under pressure from the word go on Tuesday as Chris Lynn and Sunil Narine fell within the space of five balls. 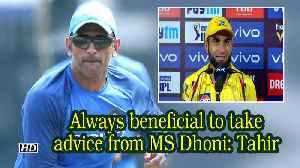 By the 11th over, CSK had the visiting team reeling at 47 for 6 when Russell..
A clinical Chennai Super Kings maintained their unbeaten run at home with a seven-wicket thrashing of Kolkata Knight Riders in the Indian Premier League on Tuesday. 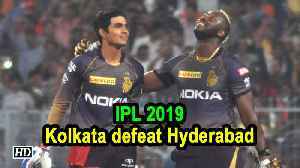 The hosts put up a top-class bowling..
Kolkata Knight Riders' Andre Russell's brutal and consistent onslaughts with the bat have become a nightmare for the opposition in the ongoing Indian Premier League (IPL) season. With three.. The KKR all-rounder finds it easier to survive against the spinners early on and scores heavily against pacers. Contain or attack? Who do you bowl? Kolkata Knight Riders' Andre Russell is the flavour of the ongoing IPL, but Rajasthan Royals spinner Krishnappa Gowtham on Saturday said they have plans in place to counter the hard-hitting West Indian..
Kolkata Knight Riders' Andre Russell is the flavour of the ongoing IPL, but Rajasthan Royals spinner Krishnappa Gowtham said they have plans to counter the West Indian batsman. [India], Apr 6 (ANI): Kolkata Knight Riders' all-rounder, Andre Russell, once again showed that he can clinch victory from anywhere. 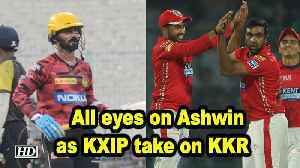 Needing 66 runs off 24 balls against RCB, KKR were up against it before Russell came in and smashed an unbeaten 48 off 13 balls to complete the job. Aamrapali Dubey is no KKR fan but Andre Russell is her 'man' and we have proof! One of the most popular actresses of the Bhojpuri film industry, Aamrapali Dubey took to Instagram to laud Andre Russell. West Indies finisher Andre Russell continued his destructive Indian Premier League form with an unbeaten 48 off 13 deliveries to lead the Kolkata Knight Riders to a five-wicket victory over Royal..
Russell came out to bat with KKR needing 67 runs off 26 balls. Skipper Dinesh Karthik (19) got out in the next over and in the last three overs, the away side needed 53 runs off 18 balls.